Tempestuous Illinois Freemason, Joseph Gurney "Uncle Joe" Cannon, served a record-long term as Speaker of the House between November 9, 1903 and March 4, 1911. He was known for his fiery rhetoric, and his iron-fisted rule of Washington D.C. That period of Washington D. C. politics is known as "The Age of Cannon." 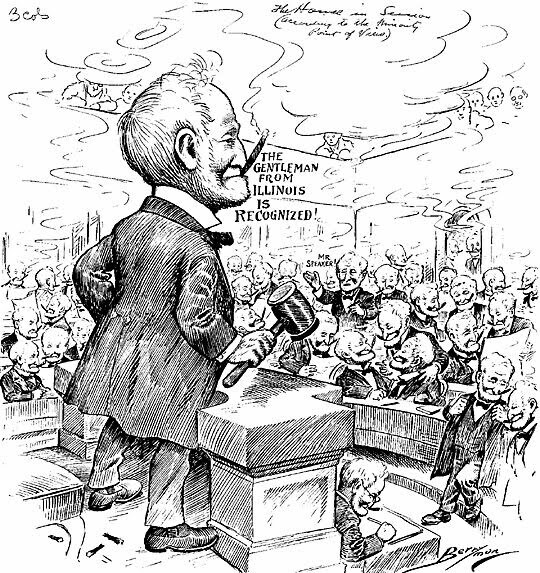 His record as Speaker of the House stood for fifty-nine years until another Illinoisian, Dennis Hassert, finally broke it. When Uncle Joe Cannon finally retired in 1922, he was featured on the very first cover of Time magazine. He returned to his home on Vermilion Street in Danville, Illinois, where he lived out the remainder of his life. But it was one of Joe Cannon's early cases that was the most interesting. Long before moving to Danville, Illinois, he lived in Tuscola, Illinois, and served as state's attorney for the 27th juducial district between 1861and 1868. During this time he was sent to Charleston, Illinois to defend a woman accused of shoplifting--she had taken a piece of cloth from a local store. After interviewing the woman, he learned she'd taken a small swatch of material home to compare the color against a piece she was working on--a common enough practice in that day. Joe Cannon talked to the judge, and was able to get the charges dropped. It was just a misunderstanding after all. That was fortunate, because it wouldn't have looked good for the President of the United States, a man known as "Honest Abe," to have his step-mother, whom he called "mother" and credited with his sense of humor, convicted of shoplifting in Charleston, Illinois. 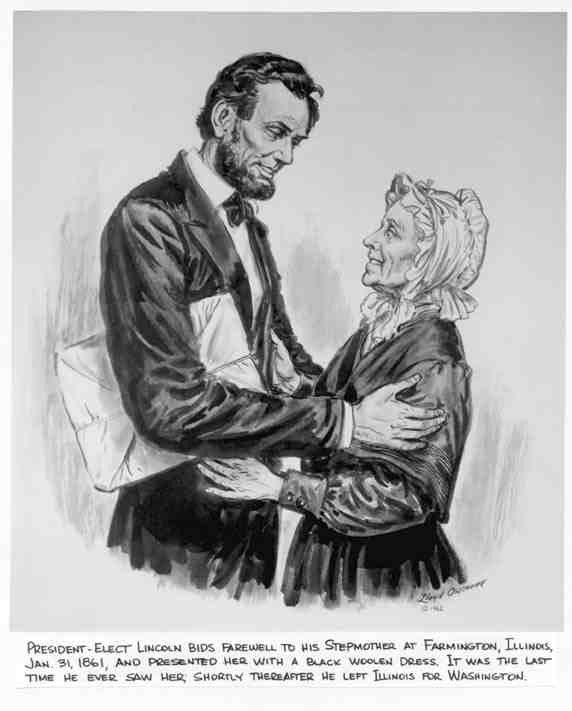 That's right, the woman that Joe Cannon went to defend was none other than Sarah Bush Lincoln. I like to tell a story about a local hero every once in awhile, and Uncle Joe is definitely an iconic character in my part of the world--and of course, Lincoln spent some time here too. Originally, Joe Cannon was made a Mason in Shelbyville, Illinois, he affliliated with Olive Branch Lodge No. 38 in Danville, Illinois in 1858--that lodge is still thriving. I was told later, by my friend Michael Shirley (then Master of Tuscola Lodge No. 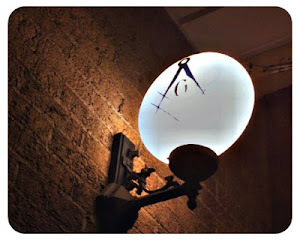 332) that he was also a charter member of that Illinois lodge, where he lived so many years. He was also a member of Vermilion Chapter No. 82 of the Royal Arch, and the Athelstan Commandery of the Knights Tempar, both in Danville--sadly neither of those are still in existence. When I wrote about Uncle Joe Cannon in Famous American Freemasons: Volume II by friend Bob Blacketer, the Secretary of Olive Branch (then and now), went digging through all the musty and dusty records looking for material for the chapter in my book about Uncle Joe--I'd like to thank him again for that. What source are you citing here? I've done considerable research on Joe Cannon, and I've not seen anything indicating Uncle Joe Cannon was a member of the Knights of the Golden Circle. The problem with these claims is that everyone from John Wilkes Booth to Jesse James were allegedly members--but nobody ever cites a source.